The year of her immigration to America was 1890 per the census, possibly departing from Germany on Oct. 23, 1890. 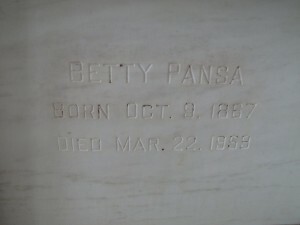 Wife of Edward Pansa Sr., married March 12, 1892, Cook County, IL. (Editor’s note) approx. 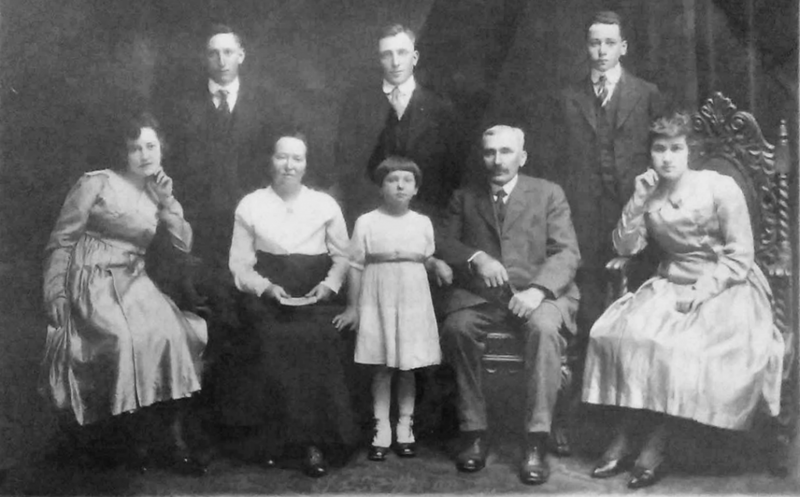 1890, A Pansa family story tells of Betty Ihm coming to America with two other girls at age 21. One of the girls took sick, died and was buried at sea. 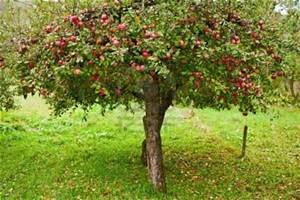 Betty brought with her a chest filled with apples from an apple tree on her uncle William’s farm in Germany that William had planted. In New York the chest broke open and there were apples everywhere… Betty began to cry, but a kind man help Betty gather the apples and Betty continued on to Chicago where her Uncle William lived and was able to give him apples from the tree he had planted in Germany. Can you just imagine the smile on Betty’s face and the pleasure uncle William had biting into those apple? 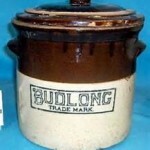 Another Pansa family story tells of Betty coming to the Chicago, California and Foster Avenues area and working across the street form “Budlong Pickle” where she was introduced to Edward Pansa by Mr. Budlong and soon after on March 21, 1892 Betty & Edward were married, they settled on a farm in Mokena, then moved to Custer Park and finally to the farm in Crete that family still lives on today. Editor’s note: Not only did Betty have to suffer the loss of her husband, September 21, 1937, but it was only 3 short months after Edward Sr.’s death that his family had to endure yet another death in their family. Betty’s eldest son, Edward Jr., was murdered in cold blood on his farm, when a couple of thugs came to the farm under pretense of buying a pig, then tortured and killed him. Completing the job, they shot his wife, Hulda, in the bedroom. Believing them both to be dead, the criminals departed the farm. Hulda was able to recover sufficiently to miraculously drag herself to the farm of William Pansa, a half mile away, in the freezing cold. She was rushed to the hospital after relating the tragedy, and the authorities were notified. By very fine work, the criminals were soon rounded up and identified at the hospital by Mrs. Pansa. The two accused criminals received just punishment, one by hanging himself in the county jail and the other by execution in the electric chair. Mrs. Betty Pansa, 91, died suddenly Sunday at her home on Torrence Avenue, Crete Township. Funeral services will be held tomorrow at 1:30 p.m. at the Spindler-Koelling Chapel in Chicago Heights. The Rev. Henry Senna, pastor of St. John’s Evangelical and Reformed Church, will officiate. 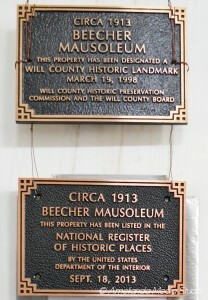 Entombment will be in the Beecher Mausoleum. Friends may call at the chapel this afternoon and tonight and until services tomorrow. Born October 9, 1867, in Germany, Mrs. Pansa had lived in the area for the past 60 years. She was a member of the Golden Age Club. Survivors include three daughters, Mrs. Minnie Spalding and Mrs. Anna Henderson, both of Chicago Heights, and Mrs. Ella Moeller of Crete; two sons, Charles of Grant Park and William of Crete; one sister Margaret of Germany; 13 grandchildren, and 15 great-grandchildren. She was preceded in death by her husband, Edward, in 1937, and one son and one daughter.